Djabe released their studio album, Down And Up at the end of 2012. It was highly appreciated by the professionals and audience as well, and was nominated to the Hungarian Fonogram Award in jazz category in 2013. The album was released in three different versions: CD, LP and DVD Audio format. 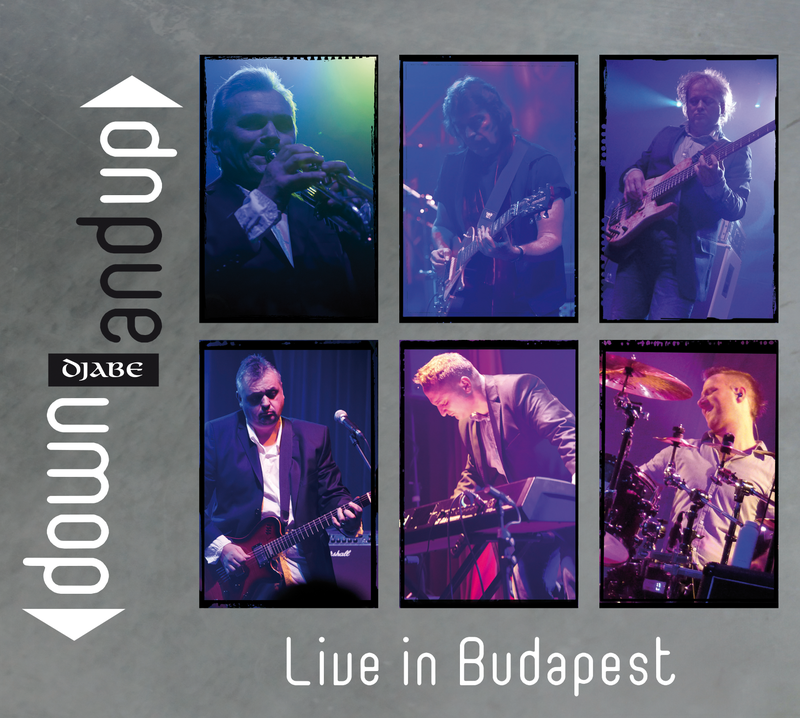 Down And Up was presented by the band during the Hungarian and international tour. The concert recordings was made on the 30th of November 2012 during theese shows, which later released on DVD. On the concert apart from the members of Djabe (Tamás Barabás, bass guitar, Szilárd Banai drums, Attila Égerházi guitar, Ferenc Kovács trumpet, violin and vocal and Zoltán Kovács keyboards) Steve Hackett from Genesis contributed too. The speciality of the show was that one week before the performance Gulli Briem agreed to participate as well. This was the first time that the drummer of Mezzoforte played together with the band, and later it became regular during Hungarian and international tours. In the first part of the gig the band and Steve Hackett introduced the first nine compositions from the album Down And Up –six amongst these were composed by Tamás Barabás and the remaining three were co-written by Ferenc Kovács and Attila Égerházi (two and two). The studio album and the concert were both arranged by Tamás Barabás. In the second half of the show Steve Hackett played an acoustic block, then members of Djabe joined him and continued the acoustic performance as a quartet. A special moment of the gig was Steve Hackett’s Ace of Wands played by Djabe in an acoustic version. The acoustic block was continued with Firth of Fifth, the famous tune was played on the violin by Ferenc Kovács then the band changed to electric within the song, and after the keyboard solo it was closed by the most famous guitar solo of Steve Hackett. During the following Genesis and Djabe songs Gulli Briem joined the band which boosted the intensity of the concert and coloured the sound of the rhythm section. The encore was Tears for Peace, the last composition of Down And Up album. This is an interesting song. The music was written by Tamás Barabás, the lyrics by Joanna Hackett, Steve Hackett’s wife and it was sung by Steve. The DVD contains the whole show in high quality sound, which is usual with Djabe – stereo and 5.1 surround as well. Amongst the extras there is the video for the song Tears for Peace. It is quite special because the band shooted it on 16 mms black and white film, and the song is played and sung on a T 59 tank in downtown Budapest. Another extra is a video which was recorded during the 2011 concert in Debrecen, The Steppes which is a composition of Steve Hackett. The producer also added a photo gallery to the DVD.